We are excited to return to this year’s PlayStation Experience in Anaheim with At Sundown! We want to encourage all of you to stop by the Versus Evil booth (#2 in Hall B), and go hands on with the game. We’re also giving away four free At Sundown PS4 Avatars for playing the game — be sure to collect all 4! 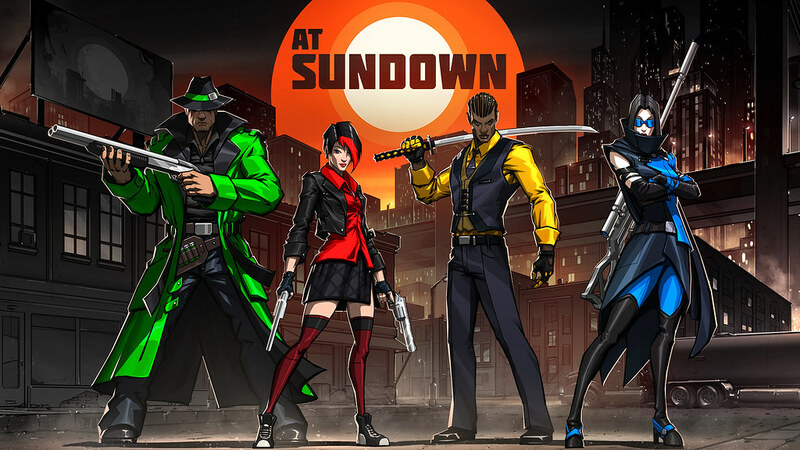 At Sundown is a unique stealth-driven top-down multiplayer shooter with dynamic twists and turns, where the maps are covered in darkness and light is your enemy. Compete with up to four friends in online or local multiplayer to see who will dominate! Challenge your opponents across multiple maps, each with different light mechanics, unlocking new zones and new weapons as you progress. Depending on the map and your play style, special power-ups and rewards will spawn to give you that extra boost, like spotlights on your enemies or an incredible new weapon sure to melt all in its path. ON SALE NOW: The Banner Saga series is up to 60% OFF during Indie Week at gog.com. Head to bit.ly/GOGIndieWeek to pick up this incredible trilogy today!